This level has hard difficulty and you need to use good trick to complete this level. 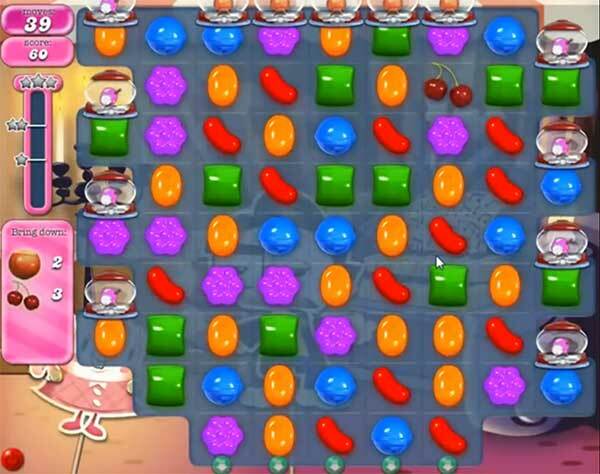 For this level you should try to play more on center so ingredient will appear on center. If ingredient appear on any side try to put them to center as soon as possible to save the moves. Make striped candy and break them horizontally and try not to move candies on side to easily take all ingredients to the bottom.